The electoral battle over issues to do with asylum seekers and offshore detention is going to be a battle of narratives. On the one hand, conservative parties will emphasise a narrative linking asylum seeker policy with national security. This narrative insists it is necessary for Australia to take a harsh approach to asylum seekers – including offshore detention, refusing resettlement in Australia, etc – in order to deter people from seeking asylum in Australia and keep Australians safe. In contrast, progressive parties argue Australia’s current approach to asylum seekers falls short of the international standards of human decency – particularly with regards to physical and mental healthcare. They say Australia’s harsh asylum seeker policies are politically motivated and stoked by fear and racism, and that Australia can both have a robust assessment process that upholds national security and treat people who seek asylum with dignity and respect. For the past few elections maritime (boat) arrivals have dominated conversation about people seeking asylum in Australia, although people seeking asylum in Australia also arrive by air. 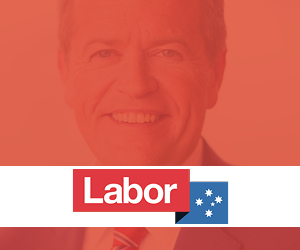 The Coalition Government insists that previous Labor Government’s lax asylum seeker policies led to a surge of people seeking asylum in Australia who travelled by boats in life-risking journeys conducted by people smugglers- and that they could do so again. This is what’s described as ‘push and pull factors’ – i.e. the idea that Australia’s policies either encourage or deter asylum seekers from seeking asylum via boat. However, statistics have not proven the theory that Australia’s resettlement policies directly affect the numbers of asylum seekers who attempt to reach Australia by boat. In fact, statistics recording the maritime flow of displaced people show that Australia’s increased arrivals have always been reflective of what is happening elsewhere in the world (see here for more) and ignores the context of global displacement currently reaching its highest levels on record. That is to say, “an unprecedented 68.5 million people around the world have been forced from home. Among them are nearly 25.4 million refugees, over half of whom are under the age of 18. There are also an estimated 10 million stateless people who have been denied a nationality and access to basic rights such as education, healthcare, employment and freedom of movement” and “nearly 1 person is forcibly displaced every two seconds as a result of conflict or persecution”. (More UNHCR figures like these are available here). When the Coalition Government came to power in 2013, it adopted a policy of denying resettlement in Australia to any asylum seekers who arrived by boat. They also adopted a ‘turn back the boats’ policy – turning back or towing vessels carrying people seeking safety to their place of departure. Refugee advocates criticised the policy as targeting one type of arrivals for political reasons, with those asylum seekers who arrive by boat historically having been found more likely to be granted refugee status than asylum seekers who arrive by air. The Coalition Government has claimed their policies have “stopped the boats” and “stopped the deaths at sea”. However, the government’s own statistics show that asylum seekers have actually continued to try to reach Australia by boat, albeit at greatly reduced numbers. 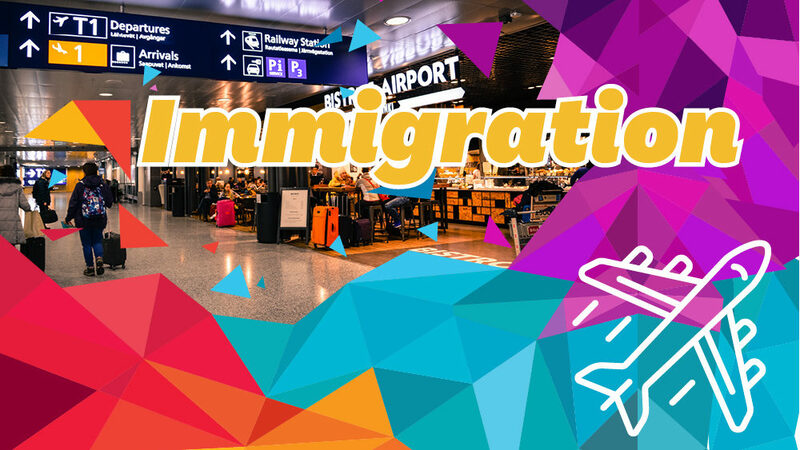 In fact, since the Coalition has come to power and “stopped the boats”, the numbers of people seeing asylum in Australia has swelled to record numbers – just with more asylum seekers now seeking asylum by plane. The Home Affairs Department website shows 27,931 protection visa applications were made in the latest financial year by plane arrivals – the previous record number of asylum seekers was 26,845 in the 2012-13 financial year when 18,365 protection visa applications were made for boat arrivals and 8480 for those who came by plane. The conditions asylum seekers experience in Australia’s offshore immigration detention centres – particularly with regards to healthcare (or lack thereof) – was one of the major news stories of 2018. Under Australia’s currently policies, asylum seekers who come to Australia via boat are detained offshore on Nauru and Manus Island whilst their applications are processed. From here, they can be returned home if their application is unsuccessful or resettled in a third country if granted refugee status. For many years, refugee advocates have said that the application processing times of up to six years and the conditions asylum seekers face in offshore detention are a denial of their fundamental human rights and basic decency. This assessment has been echoed by the United Nations. These concerns reached a boiling point in 2018 in the Kids Off Nauru campaign, which saw 170,034 Australians sign a petition to pressure the Government to get kids off Nauru. 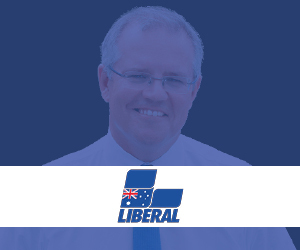 The campaign was successful, with all children being removed from Nauru in one way or another – an outcome the Morrison Government claimed was the success of their ongoing work, rather than a response to public pressure. On Tuesday 26 February, the Australian parliament passed the Home Affairs Legislation Amendment (Miscellaneous Measures) Bill 2018 – commonly known as the Medevac Bill. The Bill provides an independent process for sick refugees and asylum seekers in Australia’s offshore detention centres to receive medical care in Australia, when needed because it isn’t available on Manus Island or Nauru. Previous to this, medical evacuations were allowed at the discretion of the Australian Government’s Home Affairs Minister with the only recourse to appeal a denial being a lengthy court process. Read more here. A total of 12 people have died in Australia’s offshore detention centres to date. The inquiry into the case of Hamid Khazaei showed that he died as a direct result of the Australian Government’s refusal to follow medical orders. There have also been documented rises in ‘resignation syndrome’, self-harm and suicide attempts amongst asylum seekers in Australia’s detention centres, some concerning young children. In 2016, UNHCR found that 88 per cent of people on Manus Island were suffering from depression, anxiety and/or post-traumatic stress disorder. The Medevac Bill was passed after a vicious political debate during which the Coalition Government expressed concerns the bill could lead to weakened borders and national security. Amendments to the bill gave the minister 72 hours to assess a transfer referral which, if he or she refused, would be sent to an independent medical panel. The panel could override a minister’s refusal on health grounds but the minister has the final veto if there are security issues surrounding the patient. Immediately following the passing of the Medevac Bill, the Government re-opened the Christmas Island detention centre (that it had closed late in 2018) “both to deal with the prospect of arrivals as well as dealing with the prospect of transfers”. See more here and an update here. Australia has a complex system of visas available to people seeking asylum. These have been criticised by refugee advocates for being overly strict and complex, and for keeping people in a state of ‘limbo’ that doesn’t allow them to flourish and for there being no recourse for appeal. Instead, refugees detained on Nauru will continue to be able to apply for resettlment in Cambodia and the United States, although only 439 people have been able to be resettled in the United States so far. Refugees in Papua New Guinea can apply to resettle in the United States or in PNG. Visas: The only significant change proposed by the party is that it will attempt to increase the Foreign Minister’s power to cancel visas. Since 2015, the Government has had the power to revoke the citizenship of any dual-national who engages in terrorism. In addition, this Government has increased the powers of the minister to cancel the visas of non-citizens, resulting in a 12-fold increase in visa cancellations for non-citizens convicted of a crime and sentenced to 12 months or more imprisonment, or who have been convicted of a sexual offence against a child. Humanitarian Intake: The Liberal Party says it has increased Australia’s humanitarian program (i.e. its resettlement intake of people who’ve been given refugee status) from 13,750 refugees in 2013-14 to 18,750 in 2018-19, with an additional intake of 12,000 refugees fleeing the conflict in Syria and Iraq. In 2016-17 around 20,200 offshore humanitarian visas were granted. “This represents Australia’s largest offshore intake in over 30 years,” the party says. However, the budget also referred to the program number for 2017-2018 as a “ceiling” in performance targets for 2017-18 and relaxed the target for 2018-19 by requiring only that the Program is delivered “in accordance with priorities and informed by program parameters set by the Government”. This is consistent with the current government’s changes to performance targets across immigration, which generally remove numerical targets for broader and more qualitative assessments. There have been reports of the current Government filling its humanitarian program quota with a lower number of the UNHCR’s recommendations (a system which treats applicants equally regardless of faith) and instead prioritising Christian refugees for resettlement in Australia. There is very little information about this available. Australian to take responsibility for assessing all asylum claims of people who seek Australia’s protection within the migration zone. 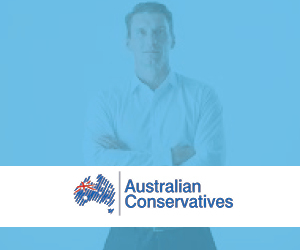 For the Australian Conservatives party platform on immigration, click here. All people should be treated with respect and accorded the dignity they deserve as human beings. 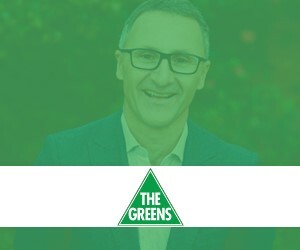 As one of the wealthiest, safest and most secure countries in the world, Australia should do its fair share to ease people’s sufferings in the context of what is a global problem. We must not shift our responsibilities to poor and developing countries. Australia’s policies relating to asylum seekers should be driven by bipartisan commitments to a humanitarian response focussed on protection needs and to upholding our obligations under international law. The Australian Government must be transparent in the implementation of its policies, open to scrutiny by the courts and the media and to critique and advocacy from civil society. Despite the release of children from detention, there remains a large number of refugees held in offshore facilities. There have been numerous cases of deteriorating mental and physical health, self-harm and suicide among adults and children detained on Manus Island and Nauru. From February to November 2015, 239 detainees were assessed as being at ‘high imminent’ risk of suicide or self-harm. Also included in this comprehensive guide are the UCA’s vision, hopes and an assessment of the ‘state of the nation’ relating to asylum seekers, along with biblical resources, key actions, discussion starters and suggested questions for political candidates.